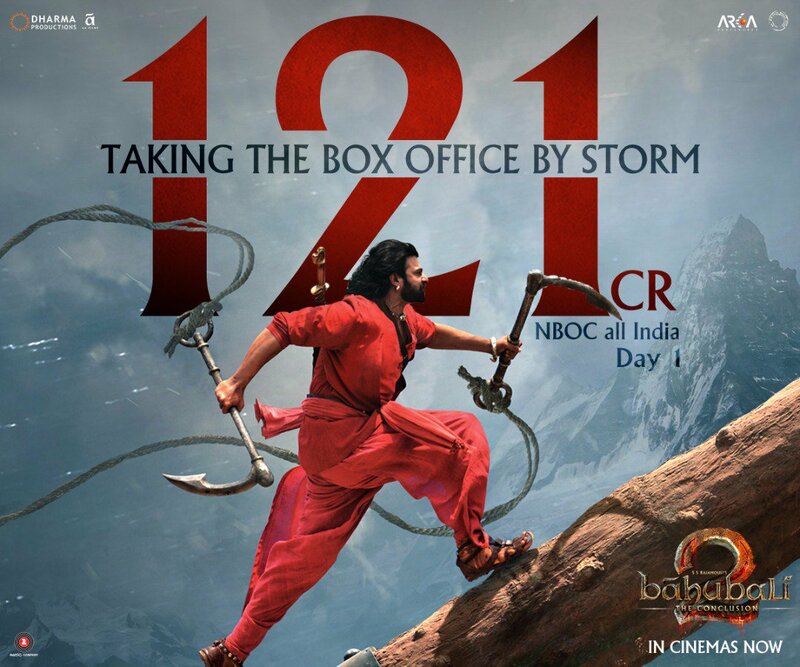 SS Rajamouli's magnum opus 'Baahubali 2: The Conclusion' has shattered box-office records in film history by crossing the Rs 100 crore mark on day one itself. 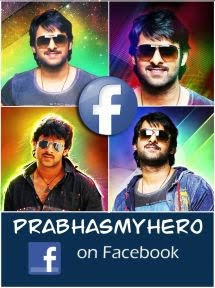 The multi-lingual film that stars Prabhas in leading role collected a record breaking Rs 121 crore nett (cumulative figure of all languages), according to reports on Boxofficeindia.com. The multi-lingual fantasy drama collected an estimated total of Rs 40.75 crore from the Hindi market. The remaining Rs 81 crore was amassed from the other regional markets. According to reports, the film has broken all Day 1 records to claim the top spot. Another point to be noted is that 'Baahubali 2: The Conclusion' attained this feat on a non-festival weekend. The Prabhas-Rana starrer has now dethroned Salman Khan's Diwali 2015 release 'Prem Ratan Dhan Payo' as the highest first day collections of all time. The family drama had collected an estimated Rs 39.32 crore, followed by 'Sultan' which has now moved down to the No 3 spot with a collection of Rs 36.59 crore, while Shah Rukh Khan's 'Happy New Year' comes in fourth at Rs 36.31 crore and Aamir Khan's 'Dhoom 3' closes in the fifth spot at Rs 32.48 crore. Early Saturday morning, an elated Karan hinted at the record shattering numbers with his post that read, "UNTHINKABLE and UNIMAGINABLE HIGHEST EVER DAY 1....data being tabulated ...will take a while!!! Watch this space for the number! #Baahubali"
Later in the day he tweeted that the Day 1 Net Box Office Collection (NBOC) is 121 crores!!! 'Baahubali 2: The Conclusion' was one of the highly anticipated films after the phenomenal success of the 2015 film 'Baahubali: The Beginning'. Paired with state-of-the-art VFX and a good storyline, the release of the sequel had fans flocking to theatres in large numbers to have their question 'Why Kattappa killed Baahubali' answered.